Store - Smith Piano Servicing - "Restoring Harmony in Your Home." FREE SHIPPING WITHIN THE CONTIGUOUS 48 UNITED STATES ! 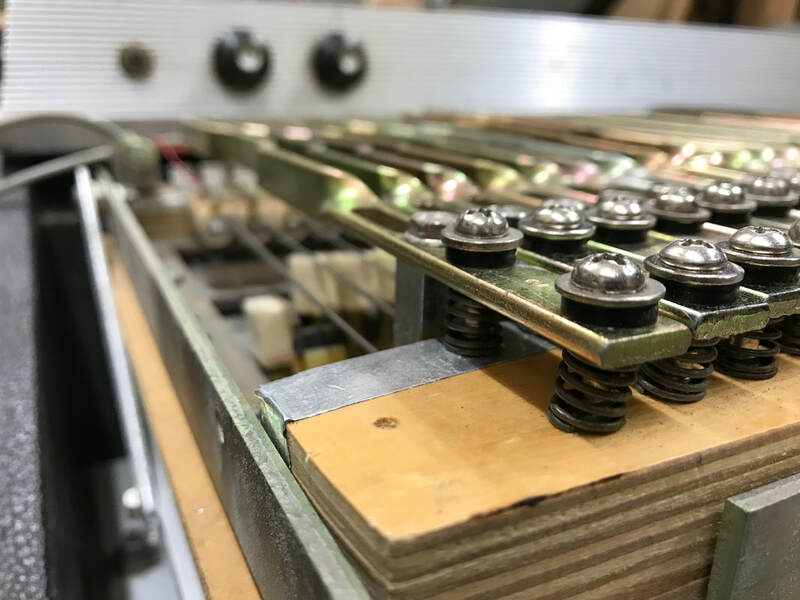 Experience maximized sustain and bloom with Smith Piano Servicing's redesigned Rhodes tonebar bushing kit. With our kit, your vintage keyboard is guaranteed to give you the tone you've always desired, but which it has never before produced. The kit offers significantly increased sustain over other grommets on the market due to a new design feature. Kits are supplied with or without 1-1/2", #9 screws with an unthreaded shank/collar. 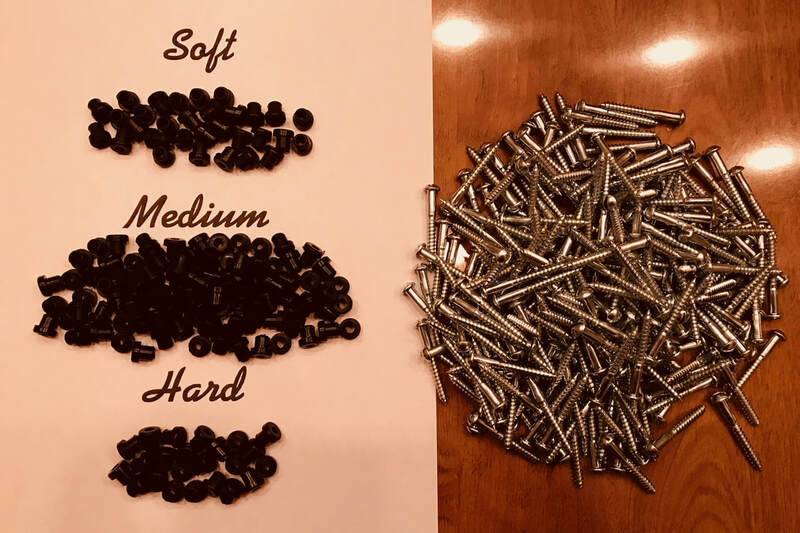 The threads are only .010" larger than the originals screws, and are just enough wider to ensure the screws will hold the adjustments you make in the old holes. 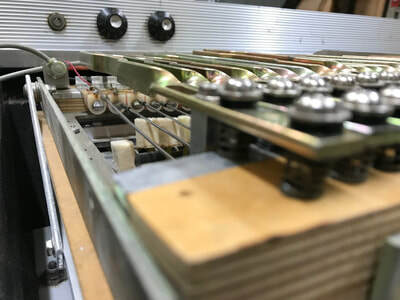 These new bushings have been precisely designed to fit these screws and the tonebar holes snugly, but without having to force anything into position. They slide freely over the thread, but are just snug enough to not allow for a sloppy tonebar once screwed down to the harp. We would like to give you the option of sourcing your screws elsewhere if you'd like to cut down on cost or use your originals. It is recommended that you recycle your original washers. They can be cleaned with an ultrasonic cleaner or tumbler. Original screws that are fully-threaded will not fit the new grommets snugly enough to be effective. Original screws that have the unthreaded collar will work in a pinch, but are slightly smaller in diameter than the new ones we provide. 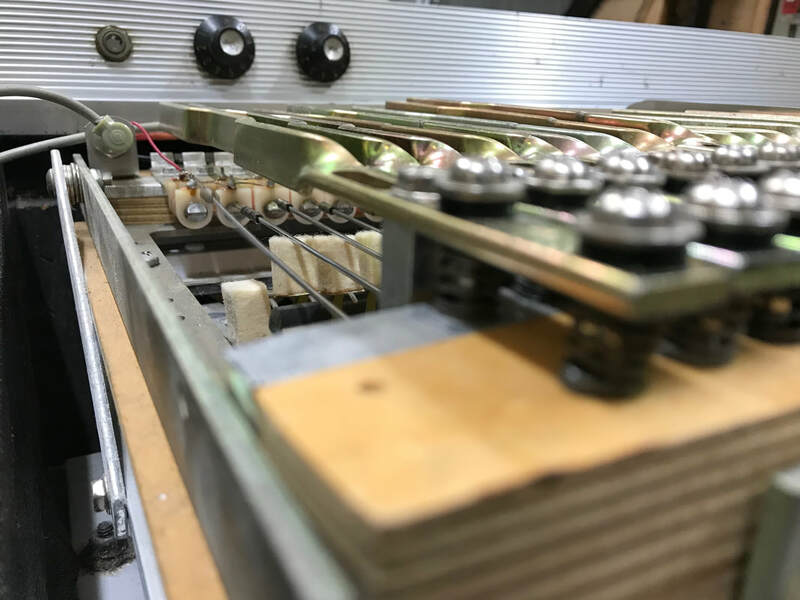 If you would like to request a modified kit or bulk ordering, please contact us directly at smithpianoservicing [at] gmail [dot] com. Thank you! Instructions for recommended placement of the 3 different grommet types we send is provided with kit. Please Select 1/2 the number of pickups you are having rewound to pay for 50% upfront. You can select the exact quantity in your cart, after you hit the "Add to Cart" button below. Call or email us for our shipping address. Down payment can be made upon receipt of delivery of pickups to us. If you are not concerned with using you own repaired pickups in your piano, please see the other option below. We will give a credit toward rewound pickups in exchange for your bad ones. Usual turnaround is 2 to 4 weeks. Pay by Credit/Debit Card for Grand & Upright Piano Services (prices include sales tax and PayPal fee). Please call to schedule in advance. ​If you have the Cash app by Square, you may also make payments to $smithpianoservicing. Or, go directly to cash.me/$smithpianoservicing if you do not have the app. Thank you!